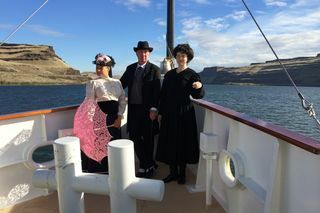 The newly refurbished, 88-passenger S.S. Legacy, a replica coastal steamer sails weeklong, 1,000-mile river cruises on the Columbia and Snake Rivers, roundtrip from Portland, Oregon. Shore excursions to museums, forts, and wineries included! The company’s fleet of 8 vessels carries 22-88 guests in Alaska, Hawaiian Islands, Mexico’s Sea of Cortés, Columbia & Snake Rivers, and Coastal Washington & British Columbia. Un-Cruise Adventures is a member of Trusted Adventures, a consortium of travel companies that are dedicated to the highest standards of small-group travel and to giving back to the places visited.